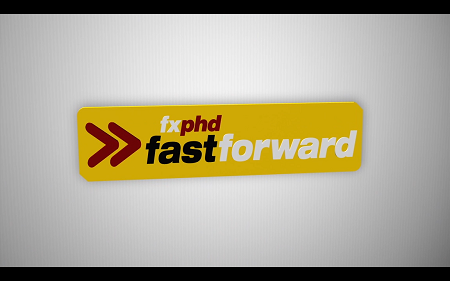 Our first "fast forward "offering is intended to quickly get you up and running on Resolve 8. Unlike standard fxphd Our Membership, once you Buy the Course you CAN immediately Download All class instruction as well as Supporting Files. Taught by colorist Warren Eagles, this All-new Course contains over five hours of Training covering the Fundamentals you need to know to Get the job done in real world situations. This will include getting footage into Resolve from Avid and Final Cut, working with a multitude of footage formats that are common in today's post, tips and techniques for best creative practices in the software, and getting the graded imagery out of the software. Taught by colorist Warren Eagles, this all-new course contains over five hours of training covering the fundamentals you need to know to get the job done in real world situations. This will include getting footage into Resolve from Avid and Final Cut, working with a multitude of footage formats that are common in todayжЉЇ post, tips and techniques for best creative practices in the software, and getting the graded imagery out of the software. Eagles, who calls Australia home, has been grading for over twenty years; five of those years with Resolve. He has worked on commercials, movies, drama and music videos. Over the years he has been senior colorist or head of the department at numerous high end facilities in London and Australia. Now working as a freelance colorist his main tool of choice is Resolve, but he also has much experience using the 2K plus, Pandora, and Apple Color. His talents have been utilized on projects for Mitsubishi, Volkswagen, Qantas, Ford, as well as the artists Radiohead, Oasis and the cult movie Lock Stock and 2 Smoking Barrels. The fast forward program is standalone instruction with immediate download and does not include access to our discussion forums or VPN software. For frequently asked questions about fast forward as well as information as to how it works, please visit the overview page. The entire course contains over 6.5GB of downloads, broken up into approximately 500MB segments. An introduction to the course with a bit of WarrenжЉЇ background and experience. Loading the software, setting preferences for storage and control surfaces, an overview of the application tabs, and setting up a project so you can start to play. жЏҐe all want to get going and create some great looks but first we need to get our images in and out of Resolve. ?WeжЉЈl get images in manually, using an EDL, or Final Cut Pro XML. Best practices for round-tripping between FCP and Resolve 8, including grading the multi-level timeline. Working with AAF from Avid, including re-linking in Resolve and round tripping back to Avid. For those times when things go wrong, weжЉЈl show how to confirm a shot that will not re-link with material in Media Pool. жЏџhe Primary controls are the most important Resolve control you will ever use. If you cannot get a great balance to begin with you will find it so much harder to do the cool stuff down the track. ?WeжЉЈl look at basic node operation, the serial node, waveforms, scopes, and the histogram. In addition, weжЉЈl cover the primary controls, auto color, RGB mixer, offsets, YUV corrector, curves, soft white clip and more. жЏ‘ will show you why we use them, not just how to make them. ?This includes fixed six vector secondaries, chroma light @ dark, the picker, keying using the HSL option, and the new V8 secondary hue curves. жЏ€verything I have ever graded had a product of some sort, either a Ford car in a commercial, a leading actor in a movie, or a famous singer in a music clip. You have to make them stand out because that is what your clients will be looking at. ?WeжЉЈl look at Circle and Linear Power windows as well as Poly and Power Curve windows. The tracker is fantastic, but what do you need do do on those occasions when it doesnжЉ° track and you have to manually fix the track? WeжЉЈl look at auto tracking, manual tracking, fixing broken tracks and image stabilization. YouжЉЈl also see how to do practical tasks such as tracking cars and people as well has how to track a window off the screen. жЏ‘ always use the Playheads at the start of my session, clients love the interaction of this feature? WeжЉЈl conform a short sequence shot on RED using anamorphic lenses and learn how to deal with aspect ratios. Then itжЉЇ on to render and the formats we can render to, batch request and the render queue, real time proxies/render cache nodes, and wipes and green screen. YouжЉЈl also see how to create your own effects library of looks with power grades, exporting/importing stills for comparing grades, grouping shots to make grading easier, using playheads to view multiple shots at the same time, and using versioning to easily make alternative grades. жЏљirates of the Caribbean, Transformers, Avatar all graded in stereo on Resolve. How hard can it be? ?Setting up your project, auto matching tools for both the color and geometry differences between eyes, picture alignment, and the various grading and viewing options for Stereo 3D. WeжЉЈl also use the difference view to judge and change convergence, determining what comes out of the screen plane or sits behind it, and dealing with questions as to how stereo grading makes you feel physically. жЏ‹ive me a piece of 35mm film shot on a sunny daya quick adjustment and it looks fabulous. ThatжЉЇ not often the case these days. How to get the best out of the new digital formats and what to look out for. ?We examine the pros and the cons of digital formats, the controls we have in Resolve, and how to use and create LUTs. In addition, weжЉЈl specifically examine formats such as Canon 7D/5D, RED and Epic, Arri Alexa RAW vs. Arri ProRes 444, and the Sony F3. fxphd fastforward Resolve 8 Fundamentals Fast Download via Rapidshare Hotfile Fileserve Filesonic Megaupload, fxphd fastforward Resolve 8 Fundamentals Torrents and Emule Download or anything related.